SB Productions was formed by Steve Brookes, who has been involved in programme production for over 20 years. In addition, we have a range of experienced producers, scriptwriters, directors, graphic designers, cameramen and editors available to suit the needs of every programme. We work closely with all our clients to establish their exact needs, and it is of prime importance to us to deliver on time, within budget and with minimum fuss. With over 20 years experience, we offer a script-to-screen service covering every phase of the production process, from the initial brief, scriptwriting, filming and arranging professional voice overs, presenters or actors, all the way through to the final cut. 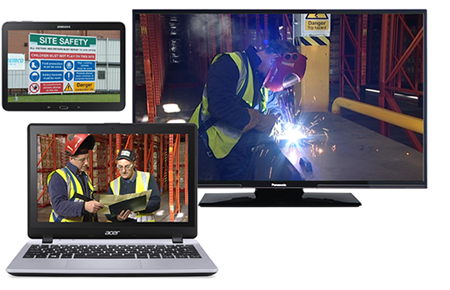 The finished product can be used on multiple platforms, such as PC, tablet or mobile, hosted on an organisation's intranet site, streamed on the internet or supplied on USB stick, DVD or Blu-ray.